If you’ve been following our project for a while, you know that we have set up three Sister Shops in Botswana, Namibia, Zimbabwe, and have plans for a fourth in Lesotho. While it was a difficult task to get these shops up and running, it was fairly straight forward – we pack a container full of bikes, ship it over, and then we meet it there and get a shop set up. After doing this three times, I feel we have it down, although there are always new challenges. One thing to note is that this project would be impossibly more difficult if weren’t for the incredible generosity of our customers and vendors! But now that the shops are up and running and have sold through their initial container load, they have found it very difficult to get resupplied. We have been creative in attempting to resupply them ourselves, but given the lead time and the fact that we can only send a 40’ container, it’s just not a reasonable or manageable solution. 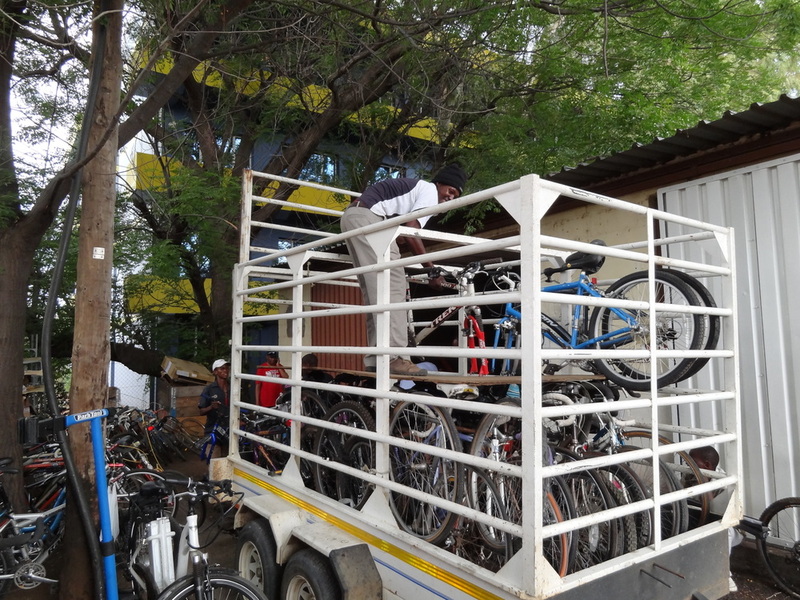 We’ve worked with BEN Namibia to get some bikes to MakVeto, we’ve sent three total containers to JonMol in Botwsana, and now MK Cycles in Zimbabwe has sold through its initial container. While there is a distributor in S. Africa called ProBike that can supply these shops with parts and bikes, they don’t really want to deal with these countries, especially for small resupply orders, and the logistics of transporting and paying for the orders are daunting. This is a huge problem and a threat to the future sustainability of our Sister Shops. Remember, our ultimate goal is for these shops to be profitable and grow without any outside financial help or further philanthropy required. At the same time that all of this was happening, Rob and Andrew were growing increasingly frustrated with the supply of high end bikes and parts in South Africa and Botswana. So much so that they began exploring options for importing and distributing themselves. There are two major obstacles in the distribution business - one is the access to product and the other is the logistics of moving those products to where they need to be. As a successful freight company, the movement of product is not an issue and as for access to product, that’s where Mike’s Bikes comes in. We have access to almost everything the bike industry produces. 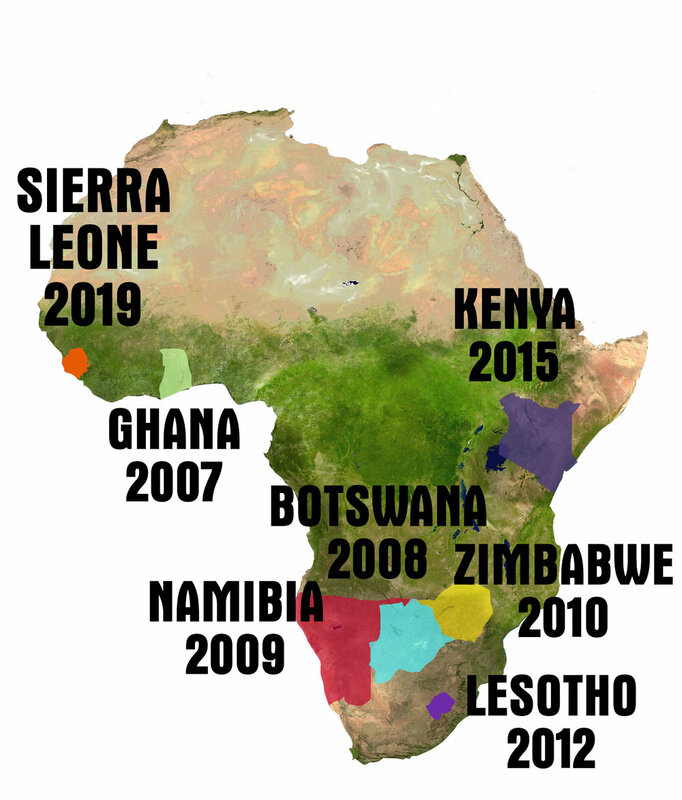 And since we already have containers going from California to southern Africa, and since we need help supplying our Sister Shops, there are some obvious synergies. So several months ago, we tried an experiment. Rob set aside some warehouse space in Gaborone and we sent him a container of bikes and some basic spare parts needed by the Sister Shops. Also in the container was a decent amount of our BikeSmart line of products. Rob agreed to warehouse the donated bikes and parts and supply our Sister Shops, in exchange for us allowing him and Andrew to begin selling BikeSmart into higher end shops in South Africa. He affectionately called it the “Robin Hood” model. If they can sell enough quality products to shops in South Africa, they can cover their costs on supplying our Sister Shops. Rob even took one of his old Land Cruisers, which we’ve named “the Beast”, and repurposed it as the Mike’s Bikes Sister Shop Distribution Vehicle! With the trailer, it can deliver 40 bikes to almost anywhere in southern Africa. So far it has delivered two loads of bike and parts to MK Cycles in Zimbabwe, and two loads to MakVeto in Namibia. And with JonMol just around the corner, supplying them is a snap. 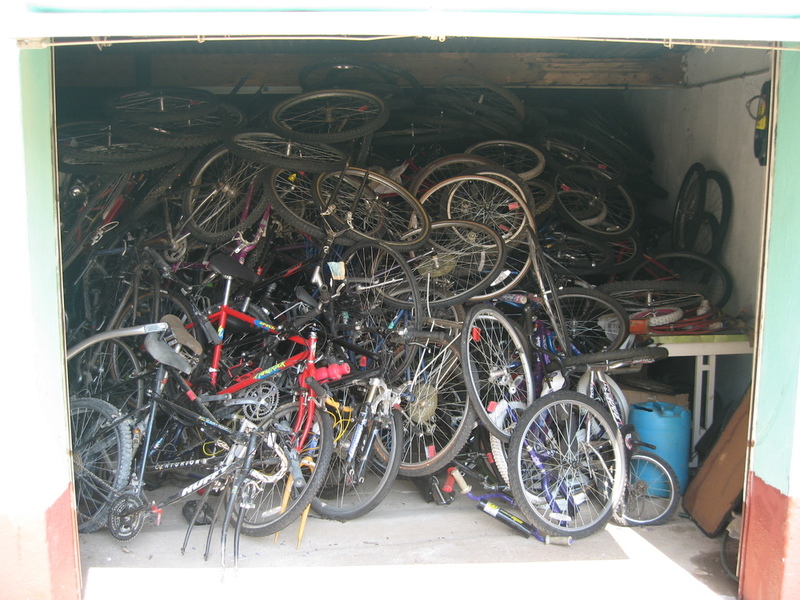 The experiment worked and Bicycle Recycle was born!